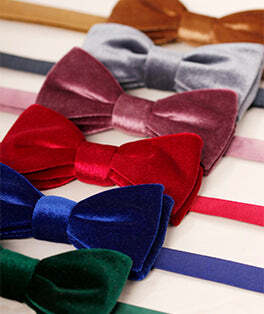 For a statement finish to your smart suit, our large evening bow ties are the perfect choice. Inspired by Hollywood style, the large bow tie has come back into fashion and now has become a must-have for your smart wardrobe. Available in a range of classic colours such as black, wine red and navy blue, make sure you have the perfect large bow tie for your next event.